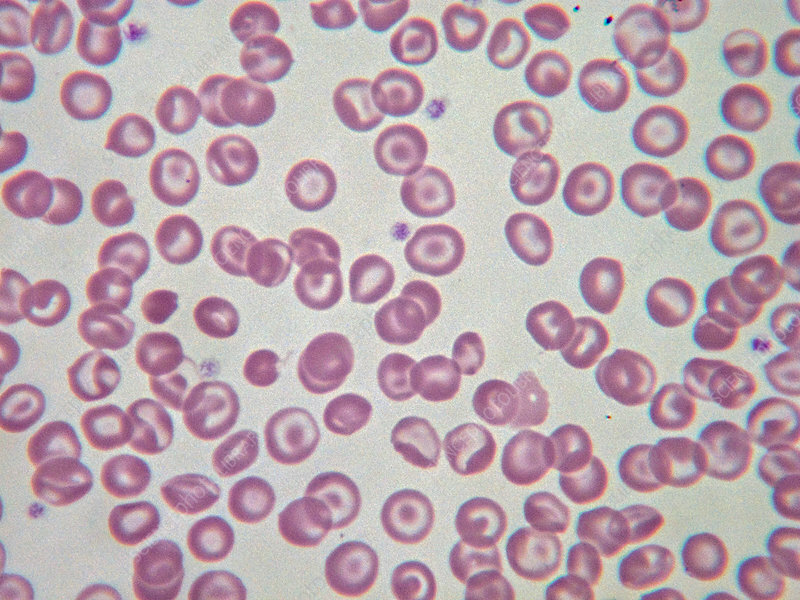 Due to iron-deficiency in anaemia the red blood cells look like target plate. Light micrograph, Wright-Giemsa stain. Magnification: 100x.